Doctor Who on Christmas Day has now become part of the yuletide tradition in the UK almost rivalling the seasonal greats such as Morecambe & Wise, The Queen’s Speech and EastEnders. The 2010 edition was the third most watched programme on December 25th with 12.1m viewers and the fourth most viewed episode since the programme’s revival in 2005. 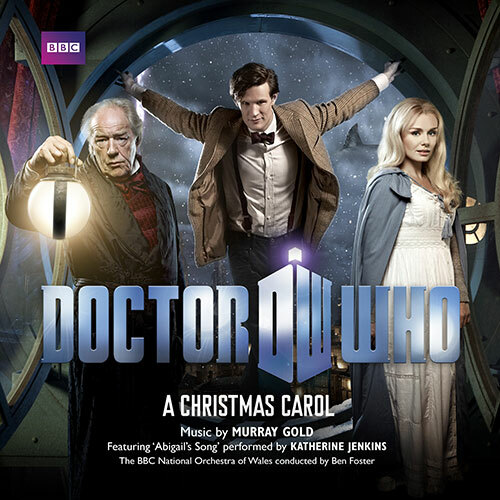 The thrilling seasonal adventure starring Matt Smith as the eleventh doctor featured stellar guest stars Michael Gambon and Katherine Jenkins. The musical maestro himself, Murray Gold, provides his usual eloquent, immaculately crafted soundtrack.